Important Info: Please note that children younger than age 3 don't need a ticket. 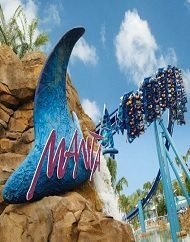 Enjoy unlimited visits for 14 consecutive days at any combination of our great Florida theme parks: SeaWorld Orlando, Aquatica Orlando, Busch Gardens Tampa Bay and Adventure Island Tampa Bay. 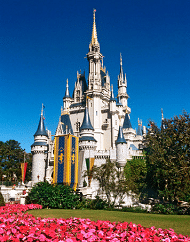 Purchase also includes complimentary round-trip transfers from Orlando to Tampa. 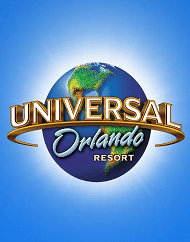 Tickets are non-transferable, non-refundable, not for resale, void if altered, will not be replaced if lost or stolen and may be confiscated without restitution for misuse. 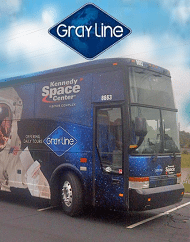 This offer is not to be combined with any other special offers or discounts, and does not include special events. Parking, taxes, shipping and service fees not included in price. 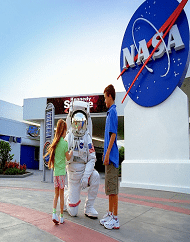 Savings based on one day advance purchase of General Admission pricing. After purchase, you will receive an email receipt confirming your reservation. 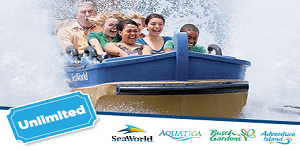 An additional confirmation email will follow with your redemption instructions for when you arrive to SeaWorld Orlando. 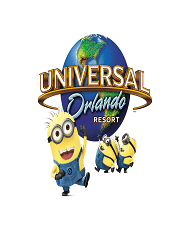 If you have any questions, please call our friendly Travel Concierge at +1-844-868-7392. 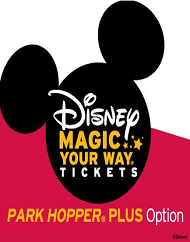 Best value for single day tickets, the Park Hopper provides guests with same-day admission to all 4 theme parks: Magic Kingdom, Disney's Animal Kingdom, Disney's Hollywood Studios, Pandora - The World of Avatar and Epcot. 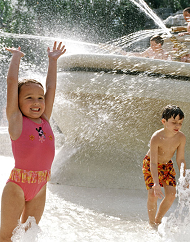 Upgrade to our Park Hopper Plus and enjoy Disney's Blizzard Beach and Typhoon Lagoon Water Parks. 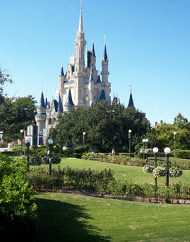 Kids grow up and vacations do too! 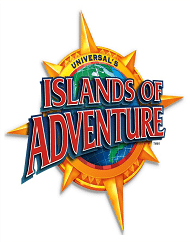 It is time for you to experience the epic adventure of Universal Orlando Resort.™ Secure your tickets today to visit Universal Studios Florida™ on a single day and Islands of Adventure™ on another. Dodge evil villains and defend the earth, see super heroes and magical creatures! 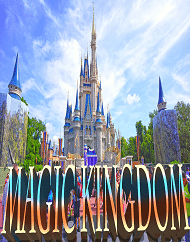 Magic Kingdom Theme Park tickets are available for ages 3-9 and children under the age of 3 are free! 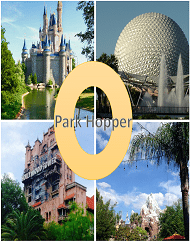 This is a single-day admission pass that is valid for visiting just one park during your stay. 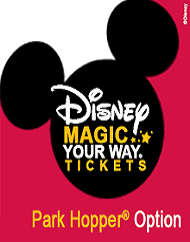 Please note these passes are valid for the purchased ticket type (Peak, Regular or Value). 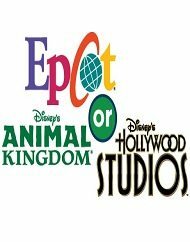 Epcot®, Disney’s Hollywood Studios® or Disney’s Animal Kingdom® Theme Park tickets are available for ages 3-9 and children under the age of 3 are free! 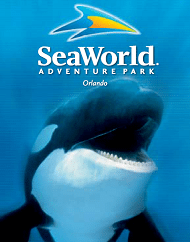 This is a single-day admission pass that is valid for visiting just one park during your stay. 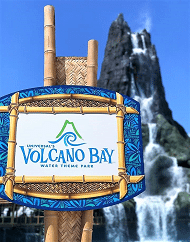 Please note these passes are valid for the purchased ticket type (Peak, Regular or Value). 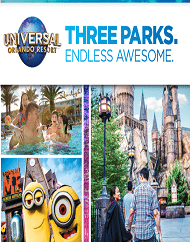 Gain access to the adventures of 2 different parks at Universal Orlando Resort™. 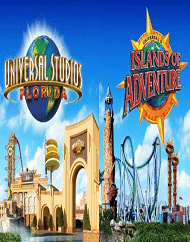 Your park-to-park ticket allows admission to Universal Studios Florida™ and Universal’s Islands of Adventure™ on the same day. 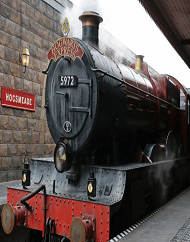 Ride the Hogwarts™ Express between Hogsmeade™ station and King's Cross Station with these park-to-park tickets. 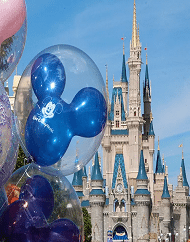 Experience the timeless enchantment of fantasy, adventure and the promise of tomorrow with your Walt Disney World Magic Kingdom ticket package. 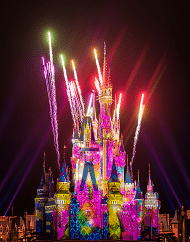 Passes are valid for a single-day admission on a specific date valid for the purchased ticket type (Peak, Regular or Value). Tickets must be used by December 31st, 2018.